Tuesday afternoon I visited The Shop Ermou 112a in the center of Athens as you could read in my previous post. Also I had the chance to see Olcay 'OJ' Gulsen's collection Supertrash closeby. Having photographed her collections during Amsterdam International Fashion Week, see here my post on it and my site I really enjoyed seeing her clothes in my 'home'town. 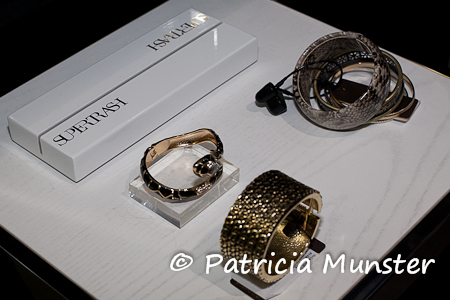 Olcay Gulsen's amazing show for Supertrash, see my post on it. 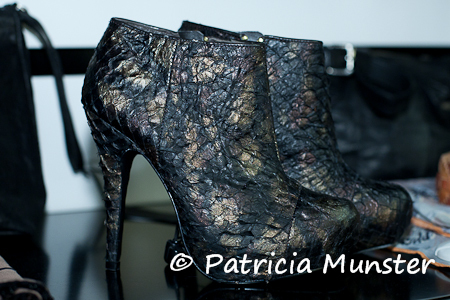 A big thank you to Mary Kitsopanou of Shop & Trade for allowing me to take some photos! SuperTrash is a true L.A. it- girl label for independent women with great sense for fashion and style. The brand stands for living a successful life, being sophisticated and exposing yourself as you are. SuperTrash is a combination of outspoken personality and effortless style, never too polished and always arranged into a blend of surprise. The brand was found in L.A., by socialite Ava Rily, a true Hollywood girl, but brought to big European success in cooperation with the Dutch fashion entrepreneur Olcay Gulsen. Today SuperTrash is a well known brand in the contemporary fashion areas all over the world. 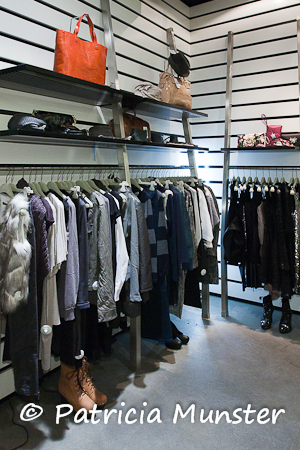 With a dealer network of 1.000 high boutiques and department stores, SuperTrash has a big power in today's fashion industry. Beginning of 2009, a new era has begun with Olcay Gulsen taking over the worldwide business. SuperTrash may be born in L.A. but it definitely has been raised in Amsterdam! “I really think what people like about the brand is that it’s a really good product at a really good price. At the same time, it does have this international and contemporary high fashion feeling about it,” explains Olcay Gulsen, the curiously charming powerhouse behind the SuperTrash brand. We caught up with her to learn more about her start as a fashion mogul and how she has propelled the brand into what it is today. With her undeniable presence, Olcay (pronounced Oljay) is a 28-year-old Dutch/Kurdish exotic beauty who certainly has everything going for her. She’s famed, young, smart, and an extraordinary entrepreneur. With an international jet-setting lifestyle she travels to the world’s best places, while staying on the pulse of her brand. Mingling with celebrities and the fashion elite, working hard and playing hard; all the while being the managing director behind the ever-growing successful empire that is SuperTrash. Olcay started her first company back when she was only 21; a HRM Agency, which hit it off from day one. And with a magic touch she went on to start another business importing unique international fashion brands; a company that also thrived. This gave her the opportunity to link her love for fashion and her zeal for business to take on her third and biggest project to date; SuperTrash. And in an astoundingly short time she has managed to expand it to 24 different countries with no signs of stopping just there.